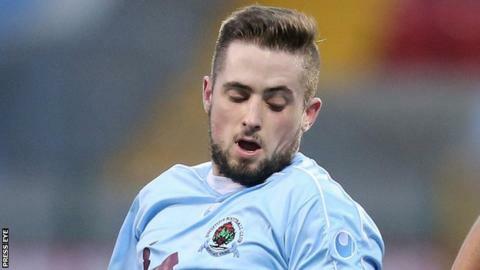 Bottom club Warrenpoint Town lost ground in the Premiership basement battle despite extending their unbeaten run to four games by holding Institute. Robbie Hume headed Institute ahead on 25 minutes but Warrenpoint levelled on 32 as Stephen Hughes hit the net. Warrenpoint keeper Jonathan Parr made great saves to deny Dean Curry and Stephen Curry in the second half. Dean Curry also hit the Warrenpoint woodwork while Mark Hughes missed a great chance at the other end. Hume nodded past Parr on 25 minutes after a superb run and cross by Declan McKeever. Darren King went close to equalising five minutes later as he struck the woodwork but Warrenpoint did soon get on terms as Stephen Hughes finished off a goalmouth scramble as he blasted home via the underside of the crossbar. After the restart, Declan Curry headed against the crossbar and was then denied by superb Warrenpoint keeper Parr, who also saved a Stephen Curry chance. Daniel Hughes did miss a late chance for Warrenpoint at the other end. With Dungannon beating Ballinamallard, Warrenpoint are now four points adrift of both Institute and the Swifts at the bottom of the table.